Ready in no time, this savoury salad is easy to toss together at the last minute. 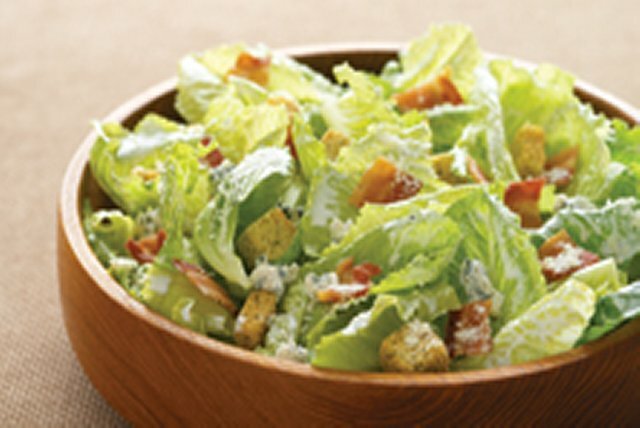 Toss lettuce with bacon, croutons and blue cheese. Serve with your favourite grilled lean meat. Substitute leaf lettuce for the romaine lettuce.